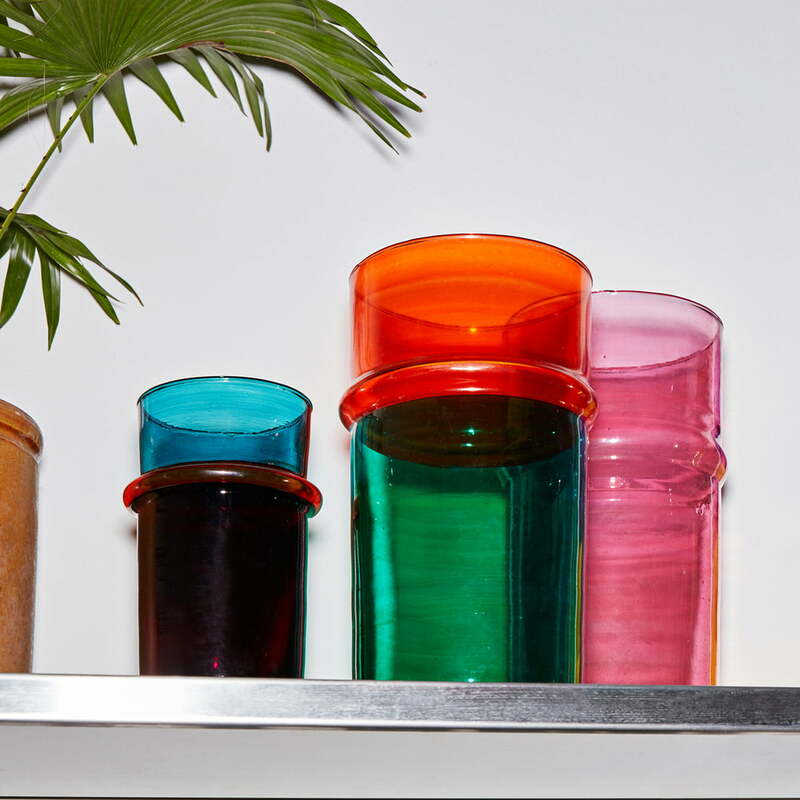 Thanks to the Moroccan Vase by Hay, a touch of colour can now be seamlessly introduced into your own home. 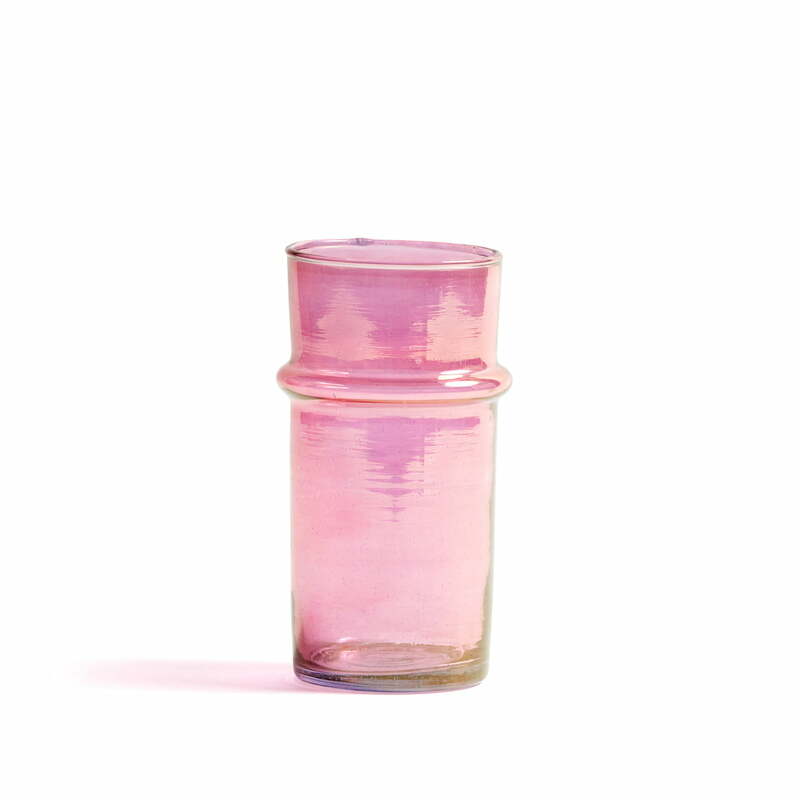 The vase is made of recycled glass and was hand-blown in Morocco. 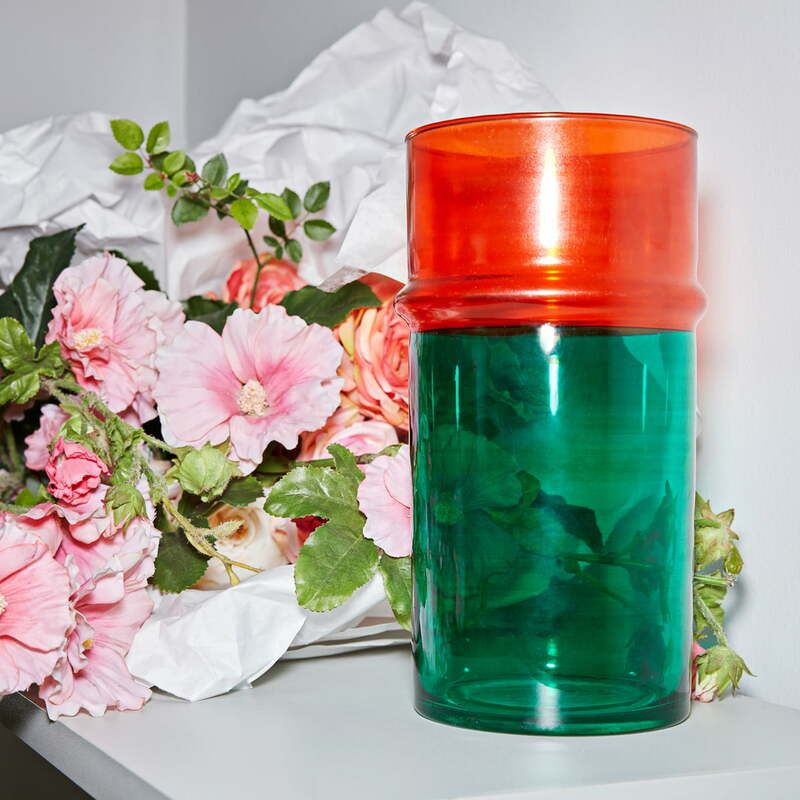 The colour-blocking style with contrasting complementary colours gives the vase an eye-catching quality that instantly adds character to your interior, particularly when filled with flowers, blooming branches or fresh leaves. The Morrocan Vase is available in various sizes and colours that are wonderfully combined with one another. 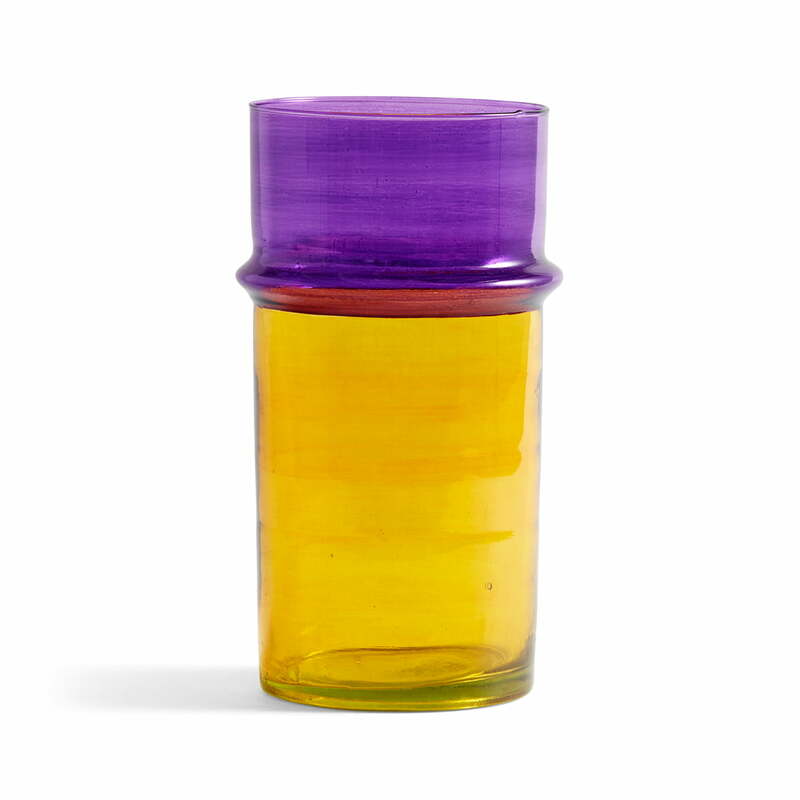 Isolated product image of the Morrocan Vase L, yellow. Thanks to the Moroccan Vase by Hay, a touch of colour can now be seamlessly introduced into your own home. Lifestyle product image of the Moroccan vase L in yellow, filled with flowers. 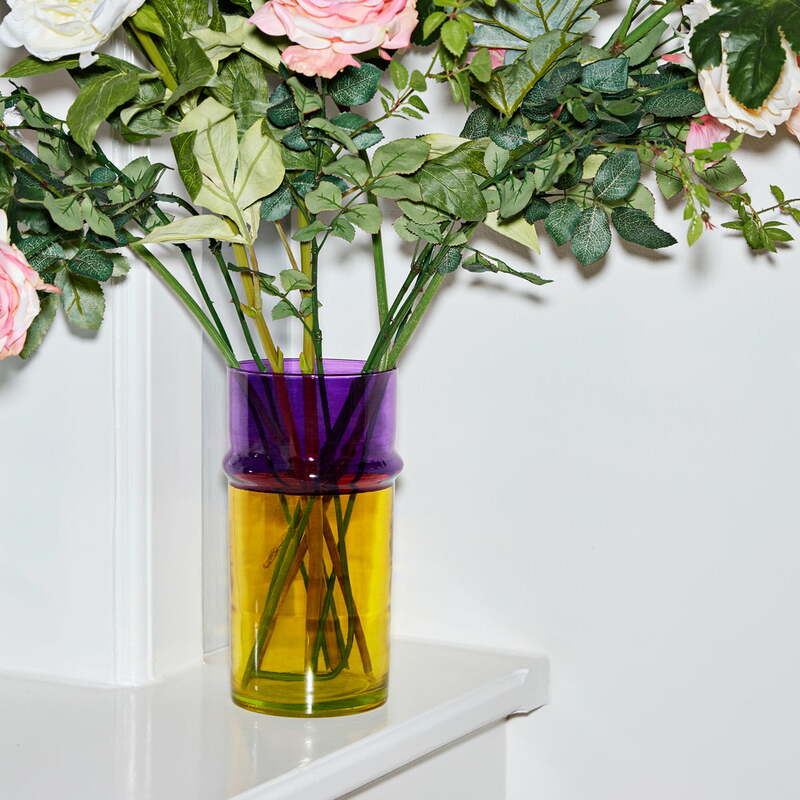 The colour-blocking style with contrasting complementary colours gives the vase an eye-catching quality that instantly adds character to your interior, particularly when filled with flowers, blooming branches or fresh leaves. Lifestyle product image of the Moroccan vase L in green. 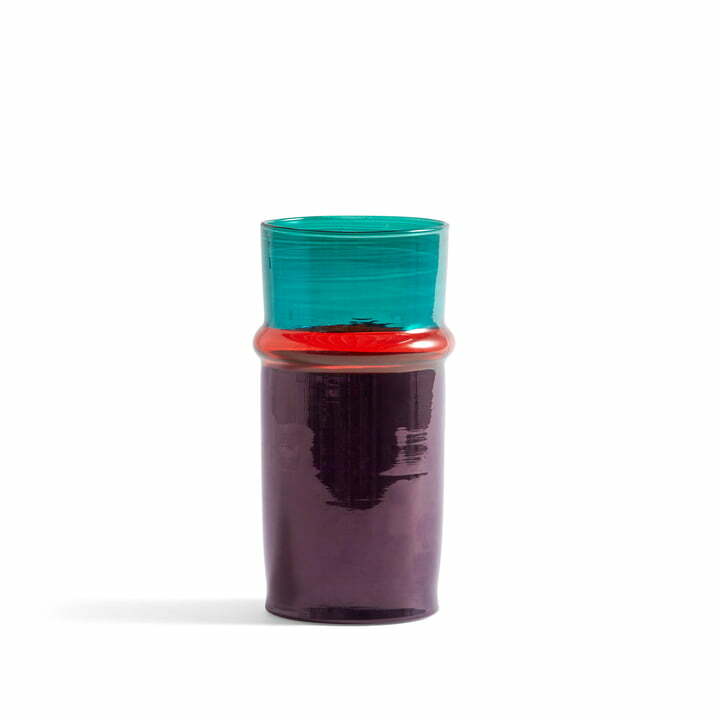 Designed with contrasting colours, the Moroccan vase by Hay never fails to attract attention.